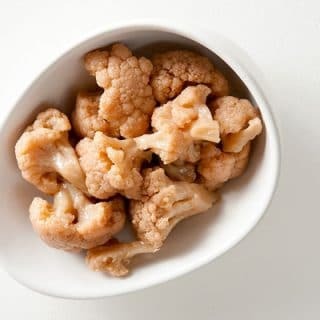 When I was growing up in Jersey, every Italian restaurant had a jar of pickled vegetables somewhere around the counter, and for long years I thought “antipasti” specifically meant the combination of pickled cauliflower, carrots and onions that always appeared whenever you ordered “antipasto” at these red-sauce joints. And in many places, they just set it out on the table the way a Mexican place sets out chips and salsa. Sometimes there were skinny breadsticks alongside, sometimes garlic knots, sometimes garlic bread. The real name for this mix of pickled cauliflower and other vegetables is giardiniera, or garden pickles, and they are, apparently, a Southern Italian thing. Makes sense since this is where most Italians in my town came from. The mix also often has pickled green peppers and celery in it, too, and some can be wicked hot. 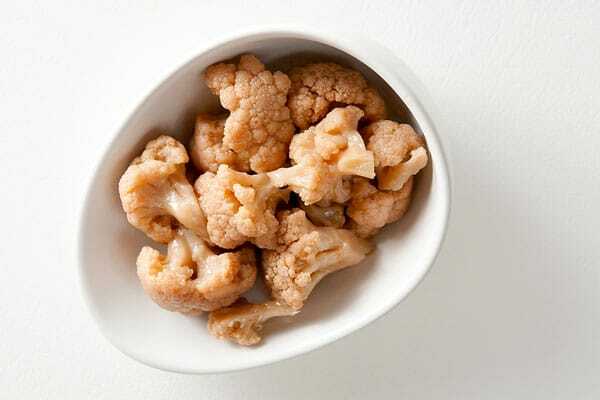 Cauliflower isn’t my favorite vegetable to eat normally — it bores me — but I do like it a lot pickled. 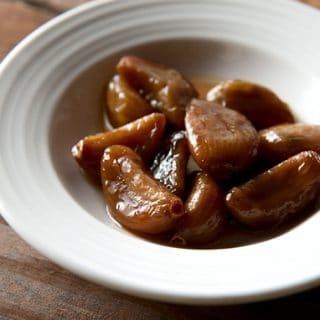 Its firm texture and form really lend themselves to pickling. So I make these every year as a hat tip to my New Jersey childhood. Find all sorts of recipes for pickled and preserved foods here on Hunter Angler Gardener Cook! You stated “if you don’t feel like canning, you can keep the pickles in the fridge for several months”. So, does that mean I could put the whole recipe in a gallon jar, follow the recipe as you described except for water bathing the jar? Let it cool and put in fridge? Wait a few weeks before eating? (Sorry. Never canned before) Thanks. Ann: Yes. I’ve done this with quart jars for years. The pickles will last a few months that way. How long before I can eat them? I put them up in pint and 1/2 pint jars as it’s just me. Ginger: Generally at least a week.